The Church of Dormition, else called the "Monastery", which is located to the middle of the quayside, was built in the middle of the 17th century. Inside the building of the Cathedral, which is the Church of Dormition, is located a small Ecclesiastic and Byzantine Museum. In 1750 the Church was destroyed from an earthquak, but reconstructed a few years later from Venetian architects. The Church is basilica with cupola and it has got colonnades. 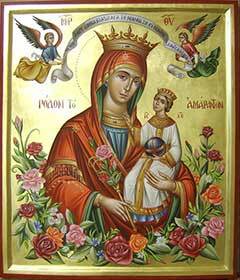 Impressive is the iconostasis made of marple and the beautiful decoration of the inside of the Church. Impressive are the two marble bell towers of the Church, one of which has got a clock. The Church used to be the center of the religious life of the people in the island. 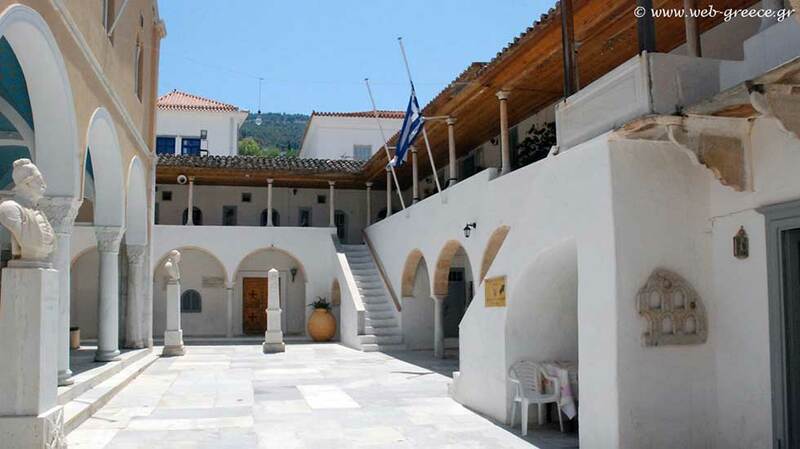 In the Monastery today operates the Town Hall of Hydra. To the courtyard one can admire the statue of Lazaros Kountouriotis, Andrea Miaouli, King George the first and Antoni Ligno, all made from Dimitri Filipoti. Also one can see the tomb of Lazaros Kountouriotis and the war memorial from the balcan wars. Inside the Church, where the prison used to be, is running a small Ecclesiastic and Byzantine Museum. 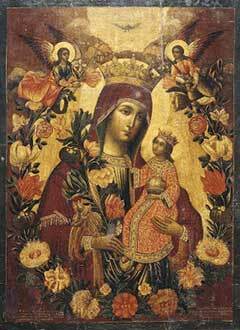 Here the visitor can see of displays of canonicals, relics, oblations and icons from the 18th century. 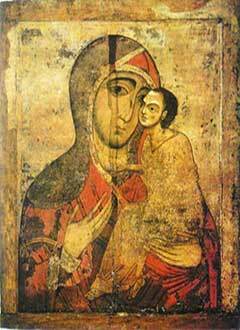 Among these beautiful exhibits one can admire the icon from 1774 of Virgin Mary "Unwithered Rose". Information at tel (+30) 22980-54071.